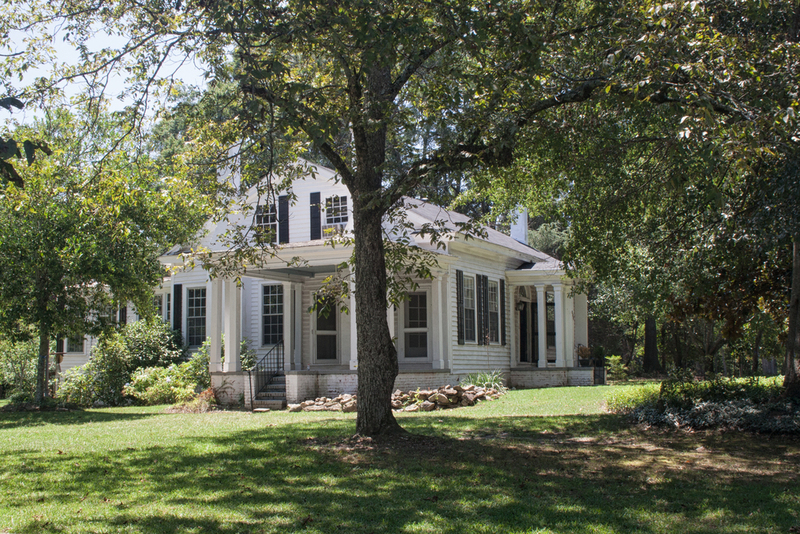 Located in historic Barnesville, Georgia, the 1840s-era home and property sits at a once vibrant crossroads. The Design Team worked extensively with the architect to resurrect a piece of history. Design considerations were informed by the unique qualities of the site, including rehabilitating old growth oaks on the property boundaries. The removal and management of invasive vegetation revealed a historic roadbed, an important characteristic of the landscape that was previously unknown. The design infuses intimate garden spaces with an outdoor pavilion to function as an outdoor living space for al fresco dining and entertaining. Additionally, the design for the property highlights a memorial pecan grove planted in the 1940s to commemorate victory in World War II becomes a feature through which guests enter the property. The resulting design interventions seamlessly stitch the landscape to the historic fabric of the town.